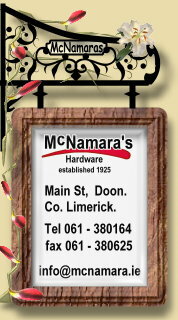 "McNamara's Hardware of Doon, Co, Limerick are local suppliers who provide a wide range of products for the DIY/Professional Building Trade, Agricultural Farming sector and household products. 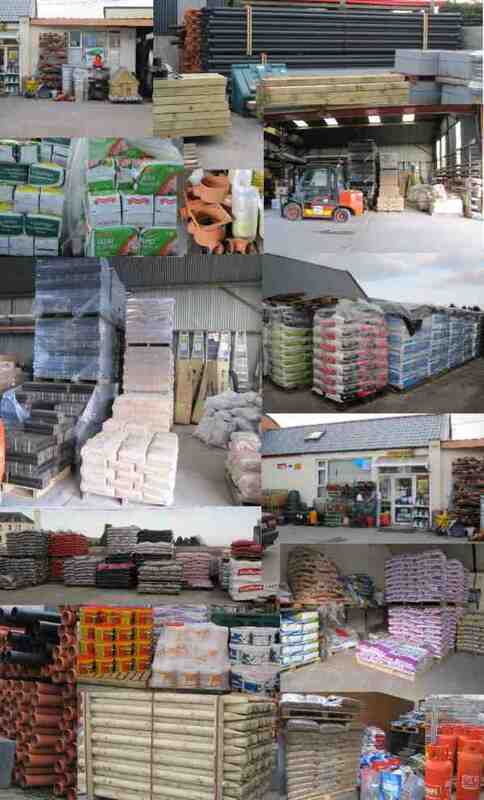 We also sell heating fuels and gardening landscaping products.The business was established in 1925 and we have since expanded to offer a comprehensive service from staff with experience in both the building and agricultural farming sectors". 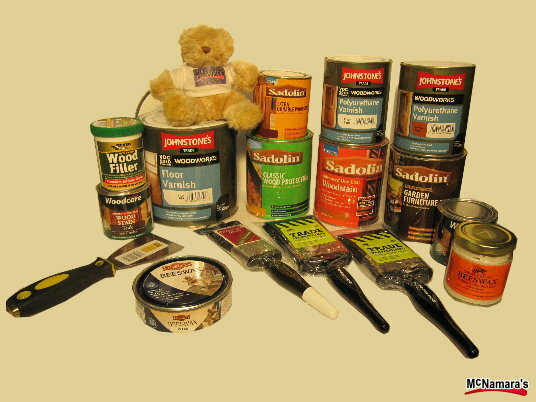 We provide brand name tools and materials for your Painting, Decorating & Tiling needs with brand name paints & a custom mixing machine on the premises. We also have tools & materials for the Carpentry, Roofing, Electrical , Plastering & Plumbing trades with staff both knowledgeable and experienced in the building trade. Your find directions to locating us on the contact us page, Visit if your passing by or ring and see if we can save you money. We are happy to offer advice on the right product and inquire of our latest Special Product Offers. "I could have saved money when building my house instead I went to large stores in Limerick, then I found McNamara's in Doon and it's nice being served by friendly people - who stock just about everything at a great price and offer advice on it's usage. "- George Franklin(customer). So how do we offer great prices, we want to ensure your repeat business we have smaller profit margins and therefore you get the best price. A lot of businesses have inflexible fixed sales systems that fix their mark up to be 18% to 40% . We sell goods dependant on stock number and have a smaller markup. So when your passing, visit the store and get a bargain. 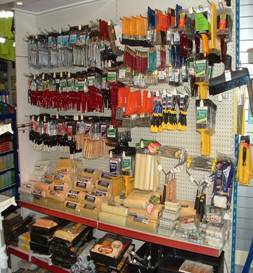 Trade inquiries welcome, we provide a service for DIY enthusiasts and the professional builder. Open an account with 30,60 or 90-day credit - terms and conditions apply. We can be up to 30 or 40% cheaper on tile adhesive then in town. We have various specials offers all year round. We are constantly adjusting our prices. So you get the best deals. Terms & conditions apply. We stock a wide range of products, we can quote and supply items on demand. 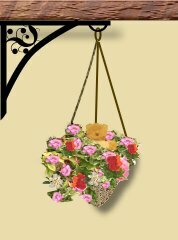 We also run a local delivery service.